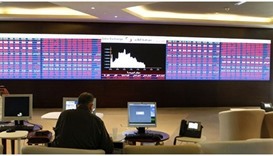 Qatar Index rose 0.79% to 9,007.23 points on Tuesday. 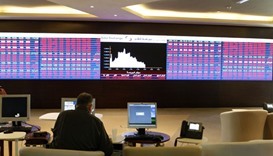 The Qatar Stock Exchange continued its bullish run for the second day on Tuesday to surpass 9,000 levels mainly on strong buying interests of domestic funds. Higher foreign ownership limits in certain underlying stocks continued to have it influence in lifting the 20-stock Qatar Index by 0.79% to 9,007.23 points. 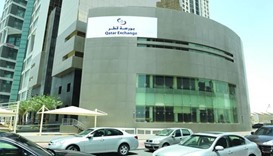 Doha Bank and Masraf Al Rayan sponsored exchange traded funds QETF and QATR witnessed 1.4% and 0.9% gains respectively. Industrials and banking counters witnessed higher than average demand in the market, which is up 5.68% year-to-date. 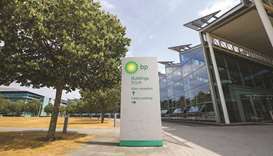 Robust buying, especially in large cap segment, helped the bourse register 0.79% increase in capitalisation to QR497.21bn. 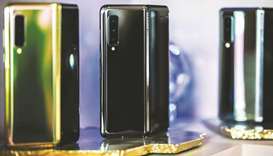 Trade turnover and volumes were on the increase in the market, where industrials, banking and real estate sectors together accounted for more than 85% of the total volume. The Total Return Index gained 0.79% to 15,869.74 points, All Share Index by 0.46% to 2,641.43 points and Al Rayan Islamic Index (Price) by 0.28% to 2,252.65 points. 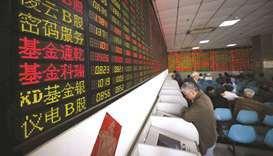 The industrials index rose 1.4% and banks and financial services (1.13%); whereas realty declined 1.57%, telecom (0.77%), consumer goods (0.4%), insurance (0.17%) and transport (0.06%). 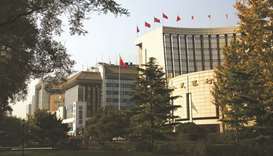 Major gainers included Industries Qatar, Mesaieed Petrochemical Holding, Qatar Islamic Bank, QNB, Commercial Bank, QIIB, Qatar Electricity and Water, Mazaya Qatar and Widam Food; while Doha Bank, Dlala, Mannai Corporation, Qatar National Cement, Gulf International Services, Aamal Company, Ezdan, Barwa and Vodafone Qatar were among the losers. 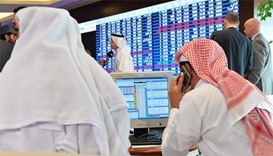 Domestic institutions’ net buying strengthened considerably to QR24.95mn compared to QR7.17mn on April 9. Local individuals’ net profit booking weakened substantially to QR1.25mn against QR46.55mn the previous day. The Gulf individual investors turned net buyers to the tune of QR1.4233mn compared with net sellers of QR0.69mn on Monday. Non-Qatari individual investors’ net selling declined perceptibly to QR0.92mn against QR3.86nmn on April 9. However, non-Qatari funds were net sellers to the extent of QR29.36mn compared with net buyers of QR31.18mn the previous day. 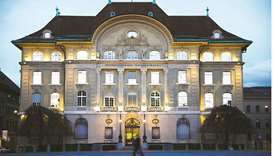 The Gulf institutions’ net buying decreased significantly to QR5.21mn against QR12.78mn on Monday. 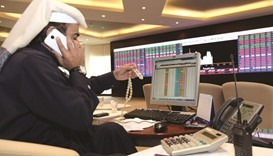 Total trade volume rose 23% to 12.54mn shares, value by 21% to QR416.51mn and transactions by 1% to 4,151. The industrials sector’s trade volume more than doubled to 5.85mn equities, value soared 88% to QR181.68mn and deals by 28% to 1,234. The real estate sector’s trade volume more than doubled to 1.96mn stocks, value gained 18% to QR22.77mn and transactions by 20% to 455. The market witnessed 81% surge in the consumer goods sector’s trade volume to 0.58mn shares, 14% in value to QR37.72mn and 47% in deals to 589. 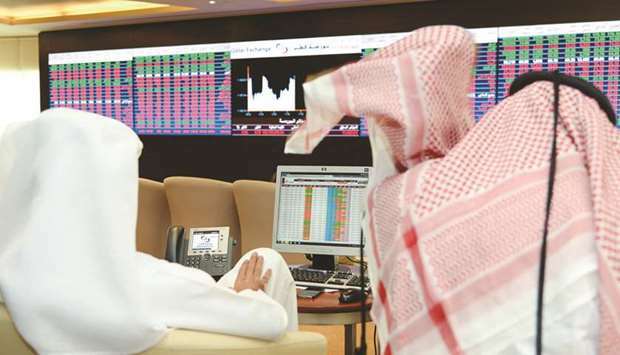 The banks and financial services sector’s trade volume expanded 12% to 2.88mn equities and value by 18% to QR144.08mn, whereas transactions were down 2% to 1,356. 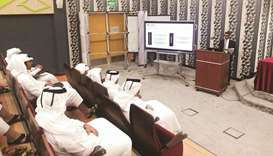 However, the telecom sector reported 73% plunge in trade volume to 0.56mn stocks, 75% in value to QR7.38mn and 47% in deals to 242. The transport sector’s trade volume plummeted 67% to 0.31mn shares, value by 62% to QR7.39mn and transactions by 57% to 163. There was 40% shrinkage in the insurance sector’s trade volume to 0.41mn equities, 39% in value to QR15.49mn and 12% in deals to 112.